Receive over $397.00 in FREE resources!! Receive over $397.00 in FREE resources! Welcome to the Official Site of Ignite: How to Spark Immediate Growth in Your Church by Nelson Searcy & Jennifer Dykes Henson. Through this page you can download free support downloads, tools, articles and newsletters that deepen the principles discussed in the Ignite book and will help you maximize your church’s evangelistic efforts. Enter your information in the form below and click “Take Me To My Resources!” for immediate access to the resources I reference in the book. 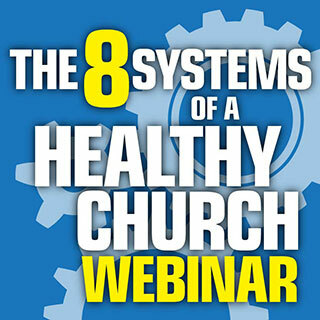 BONUS: Join Nelson Searcy for this FREE, 75-minute webinar to discover all eight of your church’s systems and how you can begin to make each of them more effective for greater health and growth. Grow your church through healthy systems! Like the human body, your church body functions best (and as intended) with optimized and healthy systems. By identifying and upgrading your church’s systems you’ll be able to reach more people and make stronger disciples. How your church could be seeing much greater Kingdom results than it is now. The eight systems of your church and why God designed them to fulfill the purposes of His church. How each system will Save You Stress Time Energy and Money (and reduce your leadership headaches). Which system you can upgrade now to see immediate growth (as quickly as next Sunday). How one system holds the key to reduced stress and increased creativity each week. Your clear next steps to begin upgrading your church’s systems immediately. So Don’t Wait – Complete the Form Below to Get Your FREE Book Resources!